We provide electrical and security products for domestic, commercial and agricultural premises. 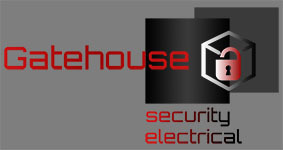 Gatehouse has a wealth of knowledge in the field of automation, electrics and security. We can assist you with electric gates, gate access systems, car park barriers, blockers and bollards, security systems and all electrical work from additional sockets, re-wiring and electrical inspections. Based in Haywards Heath, West Sussex, we cover the South East (East Sussex, West Sussex, Berkshire, London, Surrey, Kent and Hampshire) and provide service and installations for domestic, commercial and agricultural premises. We work with each customer to ensure we provide the best solution to fit their requirements. Call 07921 438744 or 01444 473396 or Click here to Email us NOW! Gatehouse Security Limited (Registered number: 07227741) registered in England and Wales. VAT registration number 106 1336 57.